Embark on luxury yacht safaris in the Quirimbas Archipelago in Mozambique. We organise tailor made diving, fishing, kayaking and snorkeling activities while you sail. Camp out under the stars in rustic island campsites. Eat fresh seafood straight off the beach fire. We recommend Sail and safari combo packages – you can even book online. For personally designed itineraries where you get the best in marine and land wildlife viewing, in spectacular, uninhabited and untouched Mozambique destinations, sit back and relax as we steer you into unexplored waters and treat you to a holiday like no other. Choose luxury yacht safaris in the Quirimbas combined with a few days at an exclusive safari lodge in East Africa and you simply cannot go wrong. Read more about the yacht details right here. With Mozambique Travel, you not only find the trip of a lifetime but you also discover the best package deals and special offers around, saving you money and ensuring your holiday under sail in this paradise is unique. During a luxury yacht safari in Mozambique, you find yourself sailing into the vast regions of the Bazaruto or the Quirimbas Archipelagos, as well as Inhambane, Vilanculos and Pemba – then docking on the African coast to see the fantastic Niassa Wildlife Reserve. If you are in search of a special Mozambique holiday, a yacht safari on the Indian Ocean is for you. Mozambique Specials offers you the perfect sailing holiday to east Africa where pristine white island beaches await you – choose to do nothing at all, or take part in every water sport imaginable from the safety of your catamaran. Places like the Quirimbas Archipelago are so remote that you will be the only yacht floating around the 32 islands of this dreamy destination. And cruising around the Bazaruto Archipelago on board a luxury sailing vessel offers discerning client’s magnificent outdoor experiences on the Indian Ocean. 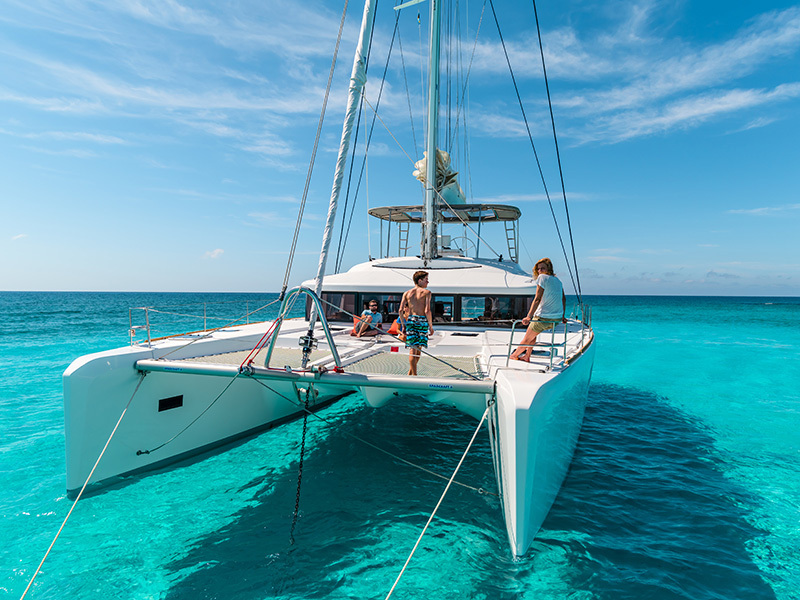 Spend several days under sail during the holiday of a life time -live aboard a luxury catamaran and fish, dive and snorkel to your heart’s content. Sail around this island region for as many days and night as you want to. This is the ultimate holiday where relaxation takes on new meaning. Some travellers to Mozambique will prefer a combination holiday consisting of a few nights at a luxury lodge and a few nights on the yacht, floating gently on the Indian Ocean as the sun sets and the moon rises. A good idea is to head straight to Ibo Island Lodge in the Quirimba’s where special packages ensure you find the right combination safari. It is usually here where your tailor made yacht safari is launched and where you find yourself floating between remote islands, experiencing a splendid display of natural beauty, fascinating local culture and history and the many tropical wonders that make this Archipelago so magical. Read more about Ibo Island Lodge . You can also tailor make your special Mozambique yacht safari to be once-in-a-lifetime fishing trip to Banco St Lazarus as an add on! Usually guests throw a line from the yacht as it cruises between islands, in the hope of catching something fresh for dinners but actually fishing off the Banks is especially exciting. The more than 30 islands of the Quirimbas Archipelago are considered to be some of the best yacht charter destinations in the world. It is the undiscovered nature of these islands that make it so special. For this is one of the very few places in the world where there are no cars, no roads, few hotels and therefore few tourists. This is a destination on the edge of Africa where you are also unlikely to come across any other yachts on your cruise – so, for the yachtsman looking for a very special location, this is it. If you decide to book a diving yacht safari in Mozambique your luxury yacht becomes your villa and the ocean your playground as you sail above the surface of an underwater wonderland which you explore at your leisure, in your complete diving kit provided by the yacht cruise. Mozambique Travel can organize something unforgettable for you – a combination of yachting, fishing, diving and seeing awesome wildlife – all in Mozambique. We offer super packages you cannot refuse, all inclusive of your accommodation on board the luxury “ship”, diving adventures including gear, all meals, island hopping to stretch those sea legs and more. Base yourself offshore in Mozambique and try to lure charismatic game fish to your yacht somewhere around the deep Mozambique Channel. Here you will find Snappers, Barracuda, Queen fish, Kingfish, King and Queen Mackerel, tuna, Dorado, Wahoo, Sailfish, Short bill spearfish and Black, Blue and Striped Marlin. 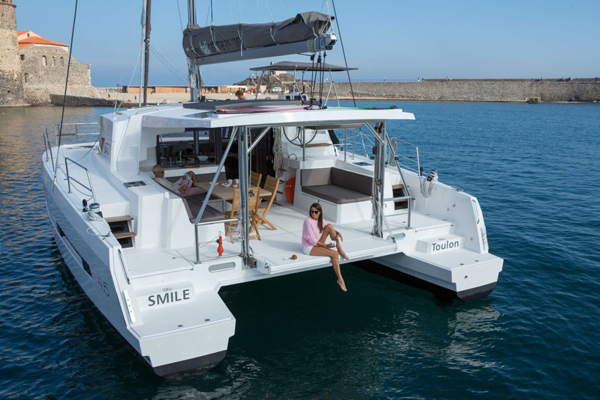 Book a private charter aboard our Catamaran yachts which allow you full use of the entire boat for your group of friends or family. Not only do we provide an experienced skipper, expert deck hands and a highly regarded chef on board to cater for your every need, but so too do our luxury yachts come fully licensed with all the required certification. 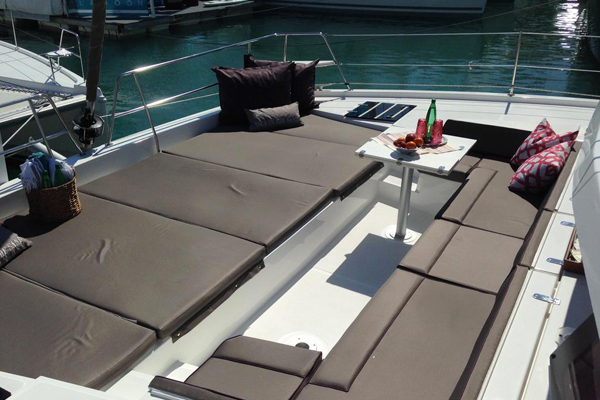 Up to eight guests can make the luxury yacht their home for a week or less. Don’t hesitate, contact Mozambique Travel now to secure your sail and safari holiday package in Mozambique.